The RSC are pulling out the stops this year to commemorate 400 years since Shakespeare’s death. This summer they have collaborated with Slung Low, a theatre company that create immersive productions in non-theatre spaces. 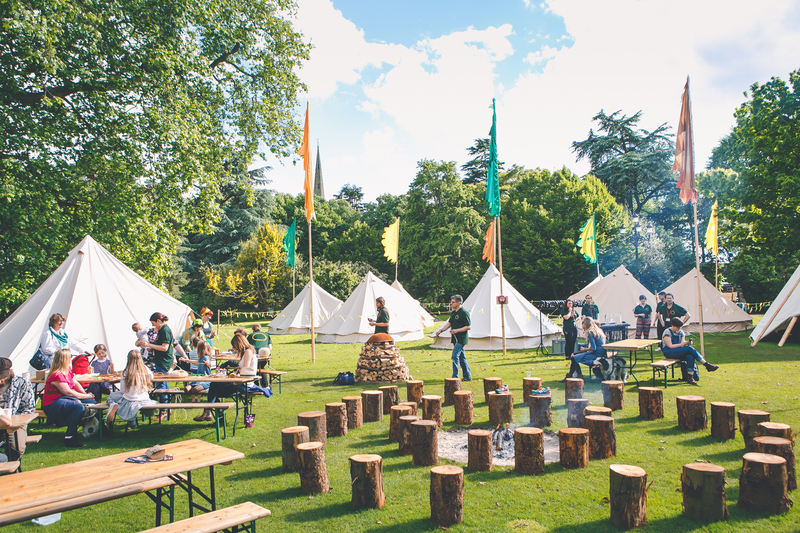 Inspired by A Midsummer Night’s Dream, Slung Low have created a Fairy Portal Camp which will surround the grounds of the RSC and take place over 10 days. 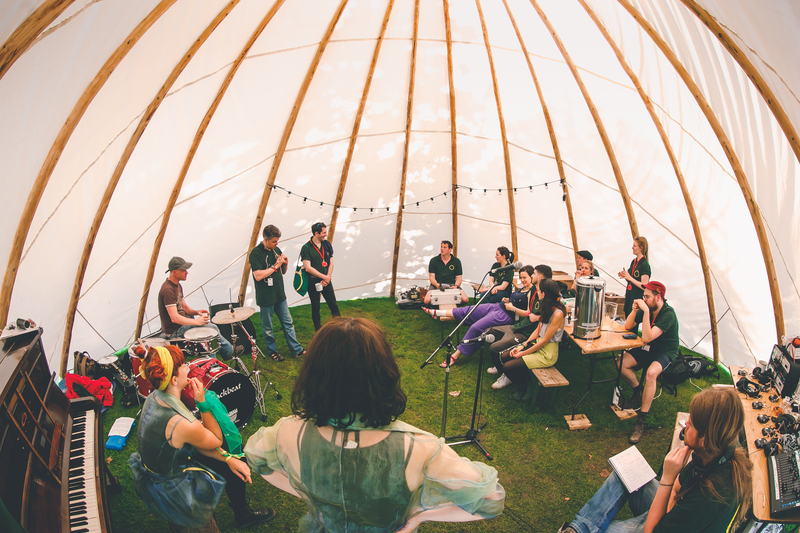 It is a camp of 20 artists who are going to live in the grounds of the RSC and embark on a mission – to open the portal to the fairy world. It is essentially a metaphor that explores the themes around A Midsummer Night’s Dream and brings them together to create a series of events that celebrate Shakespeare, theatre and magic. Over ten days all sorts of events and performances will be taking place, with the camp open at all times there will be things consistently going on in order to involve the community and provide them with an explosive experience. During the day there will be dance classes, willow weaving, poetry and much more, and then in the evening there will be a cabaret style show, ‘fairy raves’ around the bonfire, and an abundance of freshly cooked food will be served. On the very final night they will serve a great Indian feast and with an audience of 300 we will try to open the portal to the fairy world. After starting to work in different and innovative spaces, the company discovered the possibilities and the scale in which they can reach. “We discovered that people who don’t go to the theatre would go to a theatre show as long as you don’t call it a theatre show and it wasn’t in a theatre. You can have every other element of a theatre show, you can have difficult ideas and poetic language and all sorts of things,” Alan added. Aside from the art and performance taking place, the food is a huge part of the camp and it’s celebrations. Each night a delicious meal will be prepared for the audience – free of charge. This is something Alan and the team have really thought about, and how it can benefit the community. 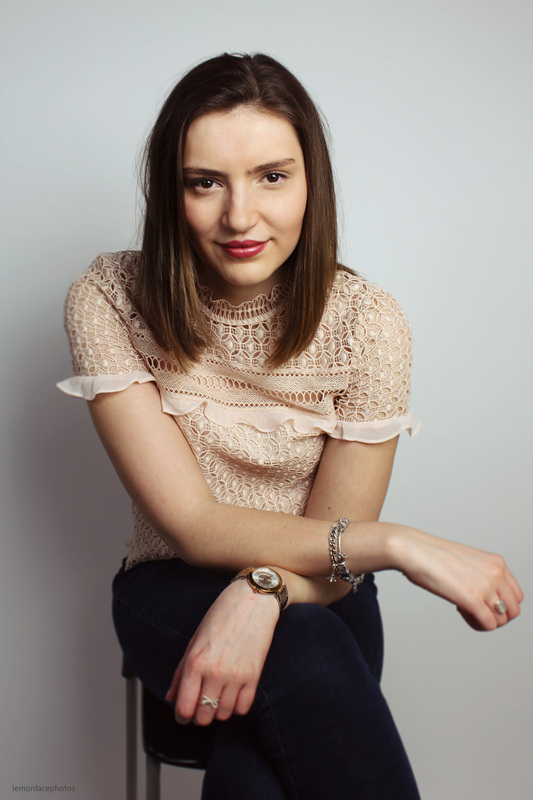 “I am hoping the word is going to get out that there are people cooking some really high quality food and it’s free, we are already contacting the various homeless shelters and charities.” They believe they can create something that will benefit everyone and therefore fulfil their vision which is to bring theatre to a new audience whilst also providing a new experience to regular theatre goers. 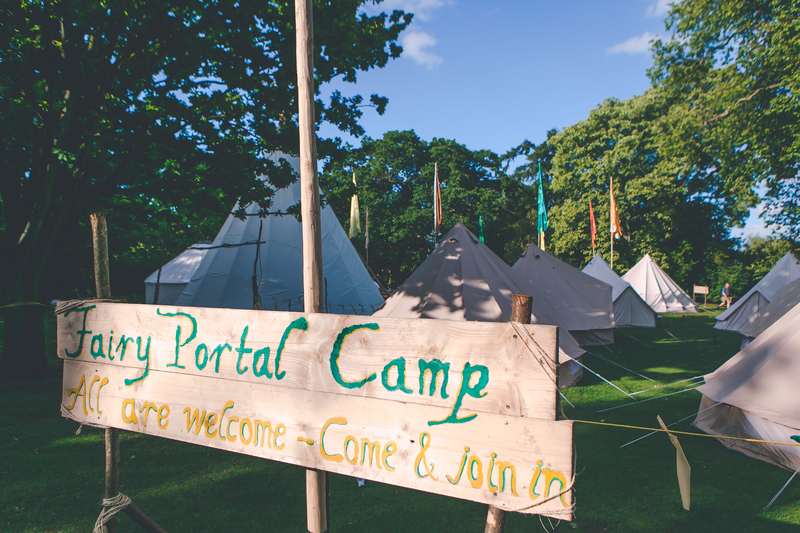 The Fairy Portal Camp opens at the RSC on the 19th of June and runs through until the final ceremony on Saturday the 25th of June. All information for the event can be found on the RSC website.